When I was a teenager in the 1970s, you couldn’t turn on the radio without hearing an Eagles song. They were practitioners of the “Southern California sound,” a mix of folk, country, bluegrass and rock played at a typically “mellow” pace (dude), made popular by artists like Jackson Browne and Linda Ronstadt. Like the Beatles, CSN, and Chicago they always had multiple songwriters and at least three strong lead singers who could also combine to create amazing harmonies. The Eagles lyrics always struck a chord; somehow they seemed so much older and world weary than us fans. Songs like “Desperado,” Tequila Sunrise,” “Lyin’ Eyes” poetically exposed the human condition in the way of great country records. “Take it Easy” admonished us to not let the sound of our own wheels drive us crazy, to “lighten up” while we still could. My first girlfriend chose their sweet ballad “Best Of My Love” to represent us, and the song continues to be meaningful to me after all these years. Eventually, the radio overplayed many of these songs, and we “burned out” on a lot of them. In fact, this overexposure kept me from bothering to buy tickets to any of their shows in the 70s. We finally saw the band in Oakland a few years ago during what was their final proper tour, supporting their excellent documentary The History of the Eagles. It was a great show, full of classic songs, guest appearances, and interestingly, interludes where clips from the documentary were played on large screens that flanked the stage. Their classic album, Hotel California, the band’s fifth, hit the airwaves in 1976 finding a receptive global audience. Their most polished, accomplished recording, it eventually sold more than 30 million copies. Packed with their signature sound, it’s also a more rocking version of the band, which now included three guitarists, Frey, Don Felder, and new member Joe Walsh. Their excellent musicianship balanced grit and polish making huge hits of the title track, along with “Life in the Fast Lane,” “Victim of Love,” and “New Kid in Town.” The messages in the lyrics are clear cautionary tales of excess, drugs, and lost dreams, mixed in with more typical love songs. The title track was open to interpretation, as was the album jacket’s imagery, which led many to draw outrageous conclusions, including accusations of Satanism. Yet the band was cagy about explaining the meaning, other than saying it was a metaphor for a “journey from innocence to experience.” Of the album as a whole, Don Henley told Rolling Stone “We were all middle-class kids from the Midwest. Hotel California was our interpretation of the high life in Los Angeles.” A stark interpretation it was. The band embarked on a long and successful tour to support the album, which included a stop in Washington D.C. where the proceedings were filmed, and included in that recent documentary DVD. A critic had accused the Eagles of loitering on stage, and it’s true that the band exuded the laid back California vibe so perfectly captured in their music. It’s one of the reasons they recruited rocker Joe Walsh into the band just before this album and tour. 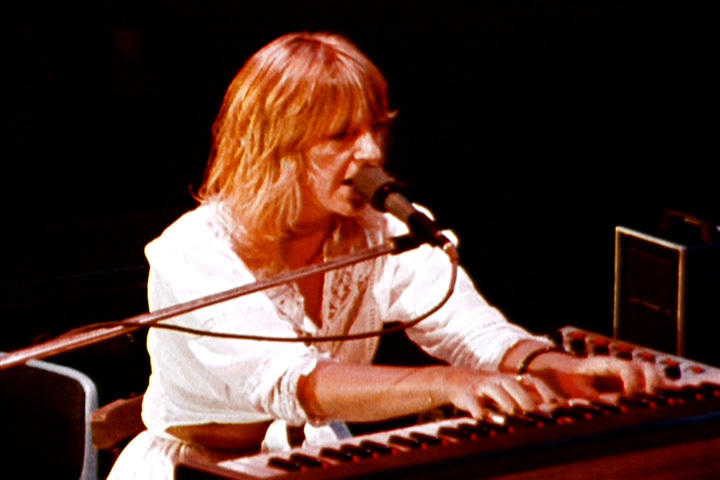 As the film shows, there were no duck walks, no stagecraft; the most animated player was Walsh whose facial expressions mimicked his winding guitar solos, demonstrated most aptly during his hit “Rocky Mountain Way.” The most memorable moment of the film is the signature solo for the title track “Hotel California” which found Joe Walsh and Don Felder delivering their dueling guitar solo facing each other in an exciting jovial moment. Yet their laconic style does not seem a disadvantage all these years later. It’s a pleas ure to watch the band perform their many hits, including down-tempo classics like “Lyin’ Eyes” which demonstrates Frey’s ability to impress the audience, even with his eyes mostly closed! The professionally filmed wide screen movie is crisp and clear, caught by multiple cameras and edited to include wide shots and close-ups that are well timed to maximize the experience. Only eight songs are included, but it’s worth the price of the documentary set to have this content. Hopefully an unedited version of the film will eventually be released in the future. We lost Glenn Frey this week, and while it means no more reunion tours for the Eagles, his music will surely live on all over the world. At the time of his 80s solo career success, Frey said he realized, “You don’t have to give this up when you turn 30, 35 or 40. I’ll always make records and write songs. I gotta do them, otherwise I’d go nuts.” He needn’t have worried. Even after the band broke up in 1980 the classic rock format dominated radio stations in the U.S. where the next wave of British punk and dance music was being relegated to niche status. The format continues to this day, and the Eagles are still played frequently all over the world. Frey once said, “even though the band broke up they kept playing our songs all the time. It was like we never went away….we were still on the radio…” And it’s still true. Frey and his body of work will remain in our hearts. R.I.P. I can’t imagine what popular music would have been like had there not been a David Bowie. He was a musician, actor, artist and fashionista with such an innate ability to anticipate cultural trends that he remained relevant for over four decades. Somehow Bowie always seemed young and fresh, in large part due to his uncanny way of reinventing himself regularly, collecting personalities, going from crooner to glam-rock star, to the dispassionate “thin white duke,” and the art-rock inventor of the progressive “Berlin trilogy” and beyond. He was, according to one commentator upon his passing, “of the time, at every time.” He remains one of the most recognized personalities in the world, and he is already missed greatly. But for this writer, it’s the next album, the 1976 classic Station to Station that really galvanized my interest. The record found Bowie experimenting with synthesizers and the kind of metronomic beat found in German Krautrock. The balance of ice and passion is clear as the title track begins with the ominous sound of trains and minor tones then building to a resolve that emerges into the jubilant final third, beginning with the exclamation, “It’s not the side-effects of the cocaine, I’m thinking that it must be love!” Funk and soul tracks like the hits “Golden Years” and “TVC 15” are upbeat, while “Stay” is a grittier boogie, driven forward by an irresistibly funky guitar riff. The beautiful romantic ballad “Wild is the Wind,” the sole cover, must be Bowie’s most spectacular, inspirational vocal performance on record. It’s a tremendous album that represents a bridge between the prior work Young Americans, and the colder ambient classic Low to come. Bowie’s persona for Station to Station was called the “thin white duke” clad in white shirt, black pants and waistcoat, and passionate dispassion. 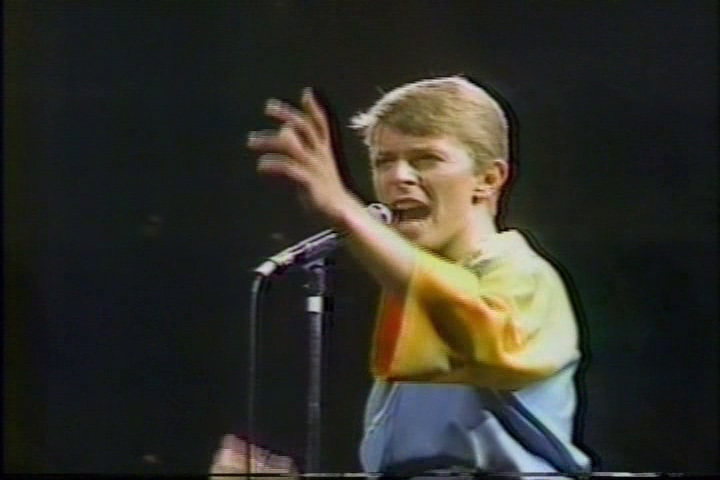 One writer described Bowie’s new alter ego as a “hollow man who sang songs of romance with an agonized intensity… ice masquerading as fire.” The tour supporting Station to Station stopped at the LA Forum for three nights in February that same year, putting the man and his new myth on display. Bowie reportedly took the stage, sang sixteen songs and left the building stoically. It was a rehearsed, perfunctory yet riveting experience according to those I knew who were able to attend, and as documented in a bootleg film of the rehearsals for the concert tour, and a recording captured one month later at the Nassau Coliseum in New Jersey. 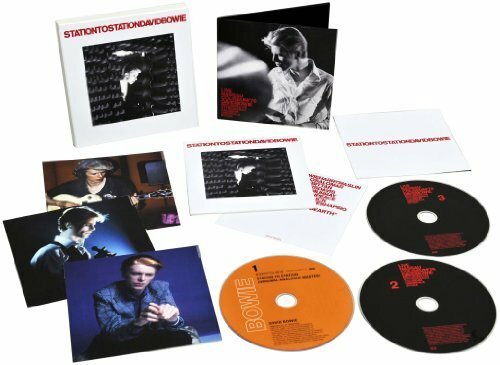 That complete live set was released in 2010 on two CDs included as part of a special three CD edition of Station to Station that also came with a booklet, some photos and other extras. Bowie’s recorded output became even more interesting during the next phase of his career, the so-called “Berlin Trilogy,” working with progressive artists Brian Eno, Robert Fripp, Adrian Belew, Iggy Pop and producer Tony Visconti among others. The resulting albums Low and “Heroes” (1977), and Lodger (1979) are inventive, varied and always surprising. The world tour for Low and “Heroes” found Bowie is perfect voice and brimming with energy, playing with a supporting band of luminaries that included Adrian Belew and Carlos Alomar on guitars, George Murray on bass, Dennis Davis on drums, Roger Powell and Sean Mayes on keys, and Simon House on violin. 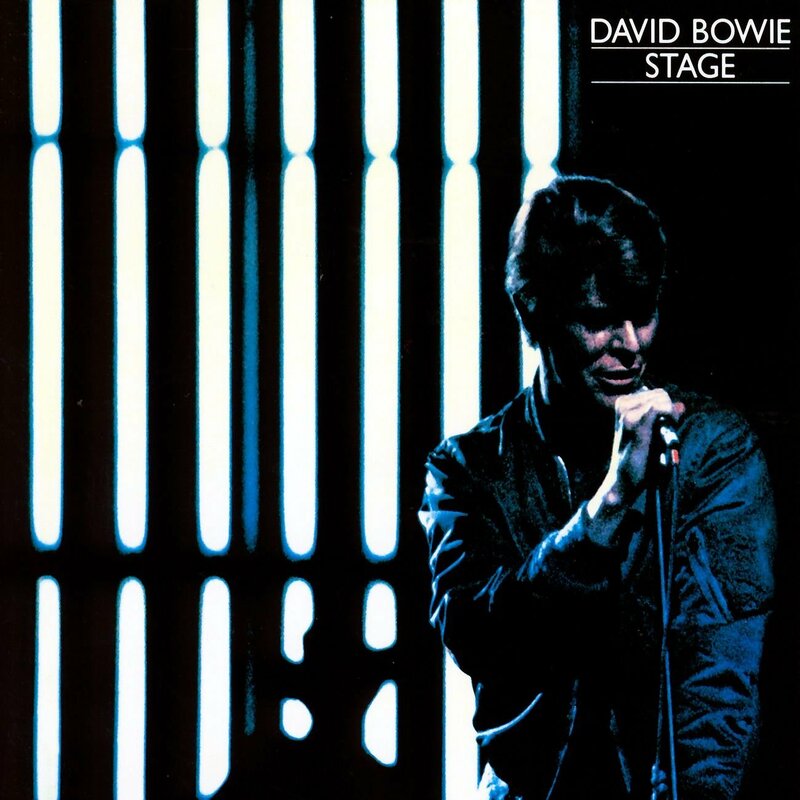 Recordings from the tour were assembled for the double live album Stage, released in 1978. That album in its original form garnered some complaints due to tinkering with the song order, and other issues. More recently the album was remastered and rereleased on CD with those complaints addressed, the complete set of songs in their original order presented in a compelling stereo mix. 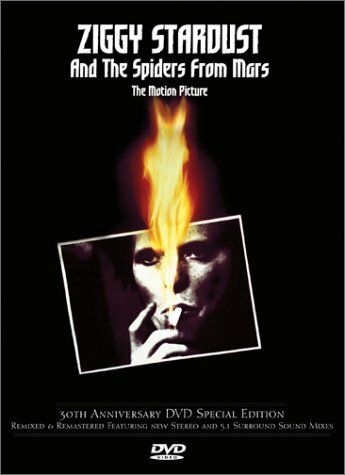 The best official film of David Bowie’s career in the 1970s is the 1973 movie Ziggy Stardust and the Spiders from Mars – The Motion Picture. Directed by D.A. Pennebaker, this is a rare chance to see Bowie during his glam period, taking the stage wrapped in his most influential alter ego. 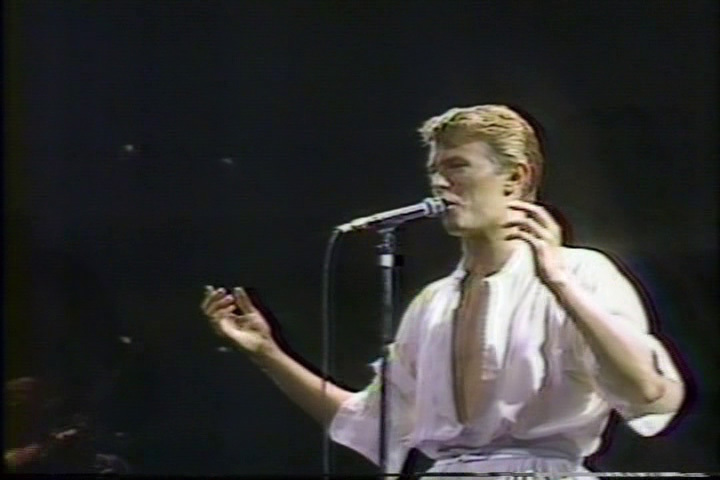 Fifteen songs from the set list are presented, along with a few behind the scenes shots of Bowie back stage. It’s not a polished product; the sound is flawed, sometimes brash, and lots of shots are blurry. But the 1.33:1 framing exposing extra grain and grit seems somehow representative of the early years of the Glam movement. The film played in movie theaters in the early 1970s for a brief time, and was later screened frequently as a cult classic. There were other televised performances during this time that are also of value. About forty minutes of a live performance at the Beat Club were captured for the German music program Musikladen. Six songs at the Dallas Convention Center and four on Saturday Night Live were broadcast in the U.S. 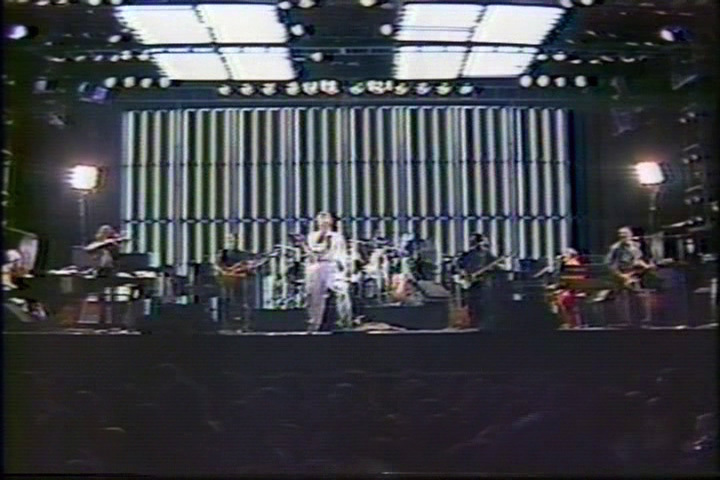 Apparently, performances at Earls Court in London were also filmed, with excerpts shown on the tube there, but this footage has also not been released. 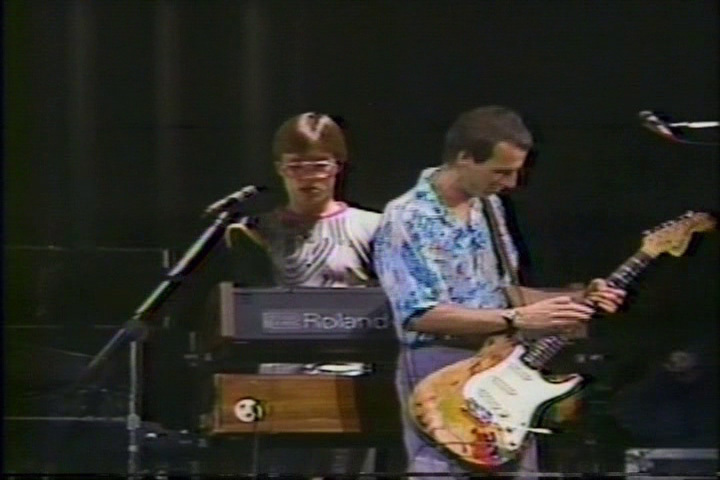 It’s a shame that all of this concert footage, particularly the NHK Hall content, has not been expanded, remastered and released officially, rather than on bootlegs and low-res copies on YouTube. Yes, we can enjoy the official audio on the double-album Stage, but we are lacking important video content of this very visual artist. Maybe now with our hero sadly departed, as we gain perspective on the overall arc of his massively successful career, the remaining proof of his mastery will surface. Fleetwood Mac is one of the most popular and successful bands of the last four decades. Their mega-hit albums Fleetwood Mac (1975) and Rumours (1977) were staples of the FM airwaves in Southern California where I grew up. Each member of the band came with a public persona that seemed real, not something manufactured by the music press, where they appeared frequently. Many of my friends hung their posters, and followed their exploits closely, particularly due to their very personal, confessional lyrics and their appeal as representatives of who we were at that point in the 70’s. Recently the band re-released these albums in deluxe collector’s editions, and they each have considerable merit. While the band began life as a British blues act in 1967, numerous personnel changes resulted in a cross-pond partnership of both British and American musicians that together had global appeal. The breakthrough came when core members Mick Fleetwood (drums), John McVie (bass) and his wife Christine McVie (keyboards, vocals) recruited Lindsey Buckingham (guitar, vocals) and his then girlfriend Stevie Nicks (vocals) to join the already well-honed trio. As if to underscore a fresh start, the newly constituted band titled their breakthrough album Fleetwood Mac released in 1975. After extensive touring to back the record, it reached #1 on the U.S. charts. 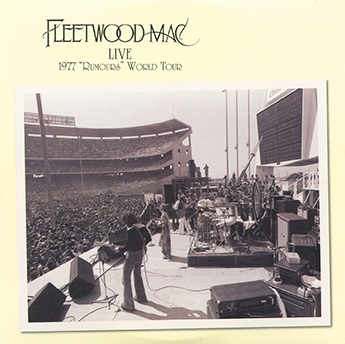 It’s a brilliant collection of enchanting stories, rockers and ballads, led by the defining Stevie Nicks composition “Rhiannon” along with Christine’s “Say You Love Me” and “Over My Head.” Lindsey Buckingham’s brooding rocker “I’m So Afraid” became a concert staple featuring an extended guitar solo highlighting his unique fingerpicking style. Everyone I knew had that record, whether they were into freak music, prog, or just good rock n’ roll, such was the breadth of their appeal. From the moments just before and after their new union, each band member went through tumultuous events in their romantic relationships, and these were covered extensively at the time, and to this day in the media. The lyrics reflected this well, as so many of their songs were about love and relationships, and were or seemed to be autobiographical. Fans knew the stanzas by heart; they read the stories and followed the band partly due to these dramas, cheering the musicians on and sometimes watching for a stray glance between Stevie and Lindsey, or other signs of emotional import. This became a poignant kind of theater, illuminating life’s triumphs and travails, starring a cast of rock heroes. It became well known that drummer Mick Fleetwood’s wife had an affair as the old band disintegrated, leading to their divorce, and that John and Christine McVie ended their marriage. In addition Buckingham and Nicks broke off their romantic relationship. 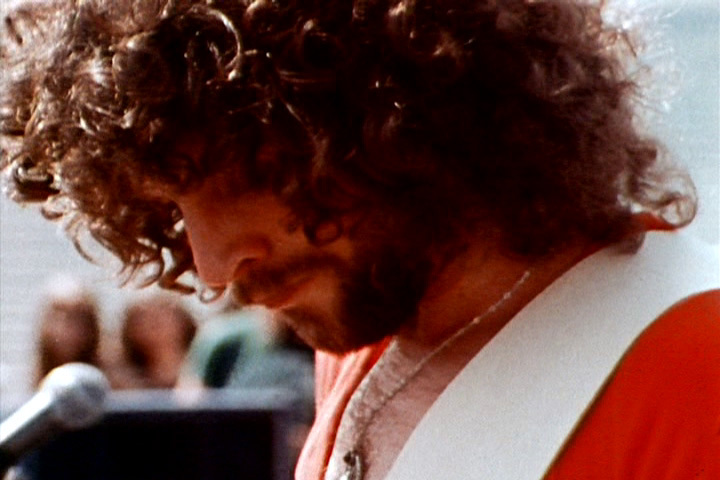 Mick summed it up himself during interviews saying “the whole band’s gone through a complete emotional trauma,” adding that being in Fleetwood Mac was “more like being in group therapy!” All of this transpired between 1974 and 1976, and the drama was captured in perfect prose and harmony on their next album Rumours released in 1977. It’s a testament to the determination of these artists that they were able to pull it together and record an album like Rumours with everything that was apparently going on in their personal lives. The lyrics Stevie and Lindsey wrote often directly referenced their romantic crisis, ruminating on the reasons for failed relationships in the upbeat “Go Your Own Way” and ethereal “Dreams,” and offering stark commentary on cocaine addiction in “Gold Dust Woman.” Christine McVie’s relatively cheerful songs “Don’t Stop” and “You Make Loving Fun” the latter featuring her skills on the funky clavinet lift the mood, along with Buckingham’s “Never Going Back Again.” Concert staple and band composition “The Chain” summed up their collective romantic travails – “Run in the shadows, damn your love, damn your lies.” The music was a spectacular demonstration of the classic rock form, tinged by the California sound featuring the lovely three-part harmonies of Buckingham, Nicks and McVie, all backed by Mick Fleetwood’s steady laid back beat, and John McVie’s resonant warm bass. The album was their first #1 in the UK while lasting most of the year on the U.S. charts, reaching over 40 million sales over time, becoming one of the most successful rock albums of our era. The next album Tusk took a more adventurous direction, and could be compared to The Beatles White Album in the breadth of its music and composition, and the difficulty the band had getting through the long period of tinkering and recording in the studio. Anything was bound to sell less than Rumours, particularly a double album, but that is not a reflection on the contents, which are startling, and arguably represent their greatest work. This version of the band recorded their first live album on the tour to support Tusk. 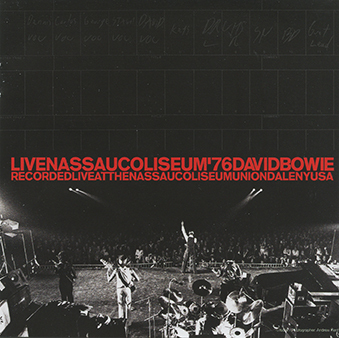 Appropriately titled Live, the double album is a sprawling, nearly complete set list from that time, along with an additional studio recording of “The Farmer’s Daughter.” While it’s a fitting document of the band’s live performances, the newly uncovered Rumours concert recordings caught the band on the upswing, and are superior for the energy and verve on display. 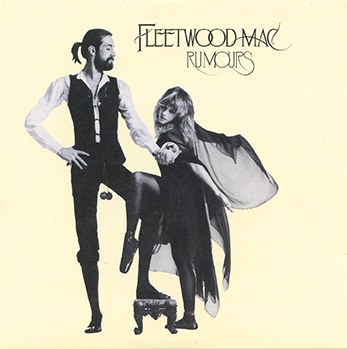 That audio recording, simply titled Fleetwood Mac Live – 1977 Rumours World Tour, is part of the multi-disc re-release of the Rumours album completed in 2015. Coming directly on the heels of the album’s recording, the songs are culled from multiple shows on the tour, including Oklahoma City, Tulsa, Nashville and Columbia, South Carolina. 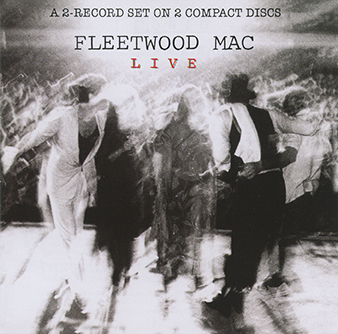 The live renditions are much tighter than the Tusk tour Live album, containing aggressive, true to studio versions of “Monday Morning,” “Gold Dust Woman,” and a nearly eight minute version of Nicks’ classic “Rhiannon,” introduced by Stevie simply, “This is a song about a witch,” and ending with some of her most gravelly rock n’ roll vocals on record. Hard, driven versions of “The Chain” and “World Turning” are also highlights of the set, along with a straight-ahead rendition of “Never Going Back Again,” a song that Lindsey expanded into an acoustic jam on later tours. For years, the only officially available footage of this era’s lineup was part of a one-hour documentary made during the time of Tusk. 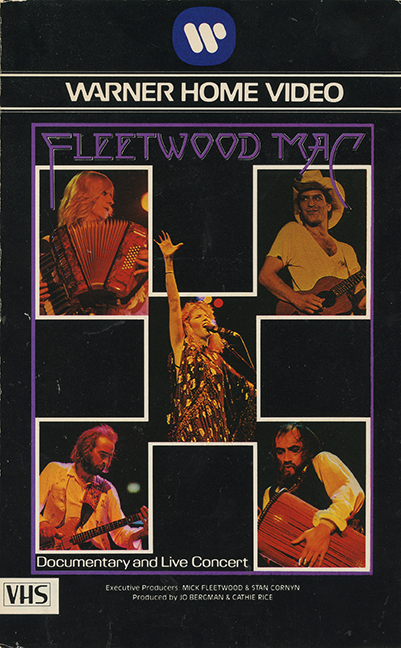 Released by Warner Home Video on videotape, Fleetwood Mac Documentary and Live Concert captured the band in studio and on tour supporting their artistic masterpiece Tusk. 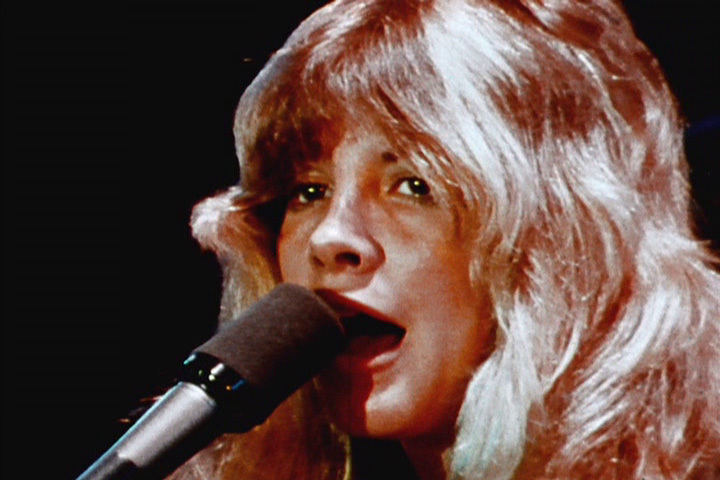 Ten songs are presented in whole or in part highlighting Stevie’s songs “Sisters of the Moon,” “Angel,” and “Sara,” the latter clip used to make a video that found heavy rotation at MTV. Lindsey belts out his vocals for “Go Your Own Way,” and “Not That Funny,” a clip also used on MTV, and usually credited as being a response to the punk movement. A rousing rendition of “The Chain” captures the band as a whole, and Christine’s “Songbird” ends the show nicely, though marred by rolling end-credits. Much of the “behind the scenes footage” is worthwhile, though some of it is superfluous, for instance we see Mick taking oxygen, Stevie fluffing her hair, and John taking a smoke backstage before an encore. Mick mugs for the camera when presented with a type of voodoo doll, before explaining how he ended up becoming the band’s manager. The in-studio clips are interesting, the best by far being Stevie working side by side with Lindsey, recording the actual vocal track for “Angel.” She then explains that though she usually writes “intense, serious, dark songs,” it was meant to be an “up” song that ended up having an eeriness to it. Fans cheer as Lindsey hugs her during the live performance. In one segment, Lindsey says his real value to the band is not as a guitar player or writer, but “as someone who can take x amount energy flowing through different people and somehow formulate to some degree how things should sound in studio.” Stevie is shown doing ballet, opining that it’s important that she have interests outside rock n’ roll, as a true Gemini. Christine is shown sailing and shares her origin as a bass player in a blues band prior to her college years and time as a window dresser, concluding with “I paid my dues.” But the real treat is the live performances, which are electrifying, and these remain the best official footage of the band in concert. 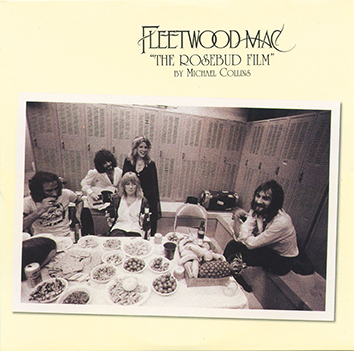 More recently, the Rosebud Film by Michael Collins was released as part of the aforementioned Rumours box set. Clocking in at just thirty minutes, it is a long sought 1977 documentary film created to promote the European leg of that tour. It includes interviews, rehearsal clips, and live performances of six songs. The opener “World Turning,” and closer “I’m So Afraid” document the band live at an outdoor festival. 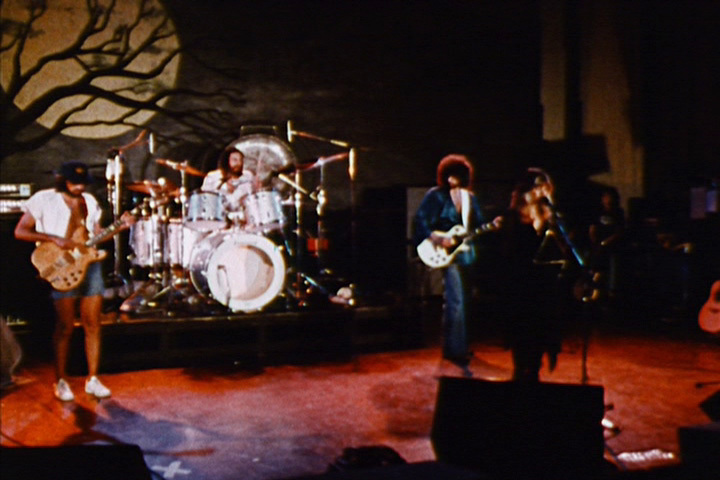 “Rhiannon,” “Say You Love Me,” “Go Your Own Way,” and “You Make Loving Fun” are very effectively captured indoors with an eerie moonlit tree-lined backdrop, which graced many a poster and promotional photo of the band at that time. These clips were also shown on late night TV music shows like The Midnight Special. As with the live disc, these performances are defining, energetic renditions of the selected tracks, while the band was truly in top form. In the best quote of the back stage interviews, Stevie comments on the band’s diverse wardrobe, “I know sometimes we look like Lindsey’s all Chinese guy in his Kimono, and I look like I’m going to a Halloween party, Christine looks like she’s going to be confirmed in the Catholic church, and Mick’s going to a Renaissance fair and John’s going to the beach!” While the Rosebud film and 1977 live audio are key for any fan or collector, in the case of video, the Tusk documentary is superior. Fans await an official release on more current media, as this gem is not yet officially available on DVD or streaming services. The Mac continues to tour to this day, now back with the complete lineup after Christine McVie’s short retirement. Amazingly they sound as good in concert today as ever, another testament to this enduring ensemble.